Marketing & branding for changemakers on the move. I am a San Francisco-based marketing strategist with nearly a decade of experience helping mission-driven businesses and entrepreneurs use the power of marketing and branding for social good. Sign up for the bombilla beat for biz updates, marketing tips, and creative inspiration. Light up the world with your brand & business. 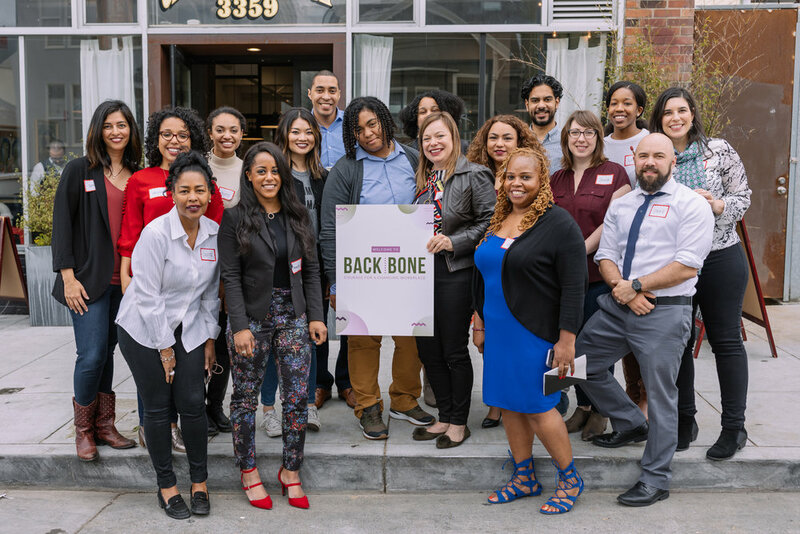 Here I'm joined by a phenomenal intersectional team of attorneys, mediators, and diversity and inclusion experts for Backbone: Courage for a Changing Workplace. A recent bombilla creative production for my client, Racy Conversations! If you're here, it's because you also believe in a compassionate, equitable world. A world in which we can all thrive, no matter what. We are visionaries who disrupt the status quo, create new alternatives, and commit our talents and time for social impact. We’re all on this planet for a purpose. I’m grateful to pursue mine full-time. Learn more about me and the story behind bombilla creative. You're not the only one to feel overwhelmed when it comes to marketing and branding. I'm here to provide you with the clarity, creativity, and hands-on support to get you started. Contact me to explore how we can use mission-driven marketing to build and amplify your brand and illuminate important issues. Let's move hearts and minds for social impact. mission, vision, and impact? Work with me to create a bombilla brand blueprint to guide how you authentically show up - online and in real life. Overwhelmed with marketing and don’t know where to start? I have a decade of experience designing and executing marketing campaigns for social good - in agency, at a nonprofit, and as an independent consultant. Looking to create inclusive and intentional event experiences for humans to connect in real life? I've planned and executed dozens of events, including workshops, institutes, conferences, networking and community events. Ivellisse has stepped in to help InclusionVentures launch four significant events that were critical for our organizational success. She did so with grace, determination, persistence, and ease. Her knack for detail and organization, her savvy around communication and marketing, and her ability to push me just beyond my comfort zone make me continually come back to Ivellisse and Bombilla when I know I need something flawlessly executed.